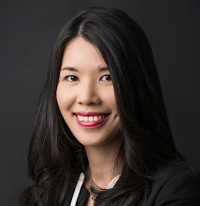 Dr Elaine Chee is a Partner and Senior Consultant of Eye and Retina Surgeons. She is also a Visiting Consultant to the Singapore National Eye Centre. She completed her medical degree in the National University of Singapore and was awarded the Dean's List in her final year examinations. Dr Chee completed her speciality training in Ophthalmology in the Singapore National Eye Centre and underwent further sub-speciality training in Oculoplastics and Reconstructive Surgery. She was subsequently awarded the Ministry of Health Scholarship to pursue further Oculoplastics and Aesthetics training in Samsung Medical Centre under Professor Yoon Duck Kim and in Kim’s Eye hospital under Dr Jae Woo Jang, in Seoul, Korea. Her past appointments include; Chairman of the Joint Commission International Committee (JCI) at the Singapore National Eye Centre, in charge of ensuring safe clinical practices adhered to the strict guidelines of international JCI standards. She was a also a member of the Clinical Competancy Committee actively involved in teaching of the young ophthalmology trainees as well as a tutor to medical undergraduates from The Yong Loo Lin Medical School and postgraduate medical students from the DUKE-NUS medical school. Dr Chee practices general ophthalmology in both children and adults, including cataract surgeries, glaucoma screening and management, diabetic eye screening and retina lasers. She has a special interest in oculoplastic conditions and surgeries as well as aesthetic rejuvenation of the eyes and face. Dr Chee’s areas of expertise include: double eyelid procedures, eyebag surgeries, droopy lids and lid malpositions. Dr Chee also specializes in tearing conditions of the eye, and performs tear duct surgeries via both the external and endoscopic (scarless) methods. She also specializes in the management of orbital conditions such as thyroid eye disease, orbital fracture repair and tumors around the eye. Dr Chee performs botulinum toxin (botox) injections for medical conditions such as hemifacial spasm and blepharospasm. She also performs non-surgical aesthetic rejuvenation of the face and eyes with the use of botox, fillers and intense pulsed light (IPL), which complement modern surgical techniques in facial rejuvenation. Dr Chee continues to be actively involved in the oculoplastic sub-speciality as an invited speaker to regional meetings as well as conducts courses in the area of oculoplastics.